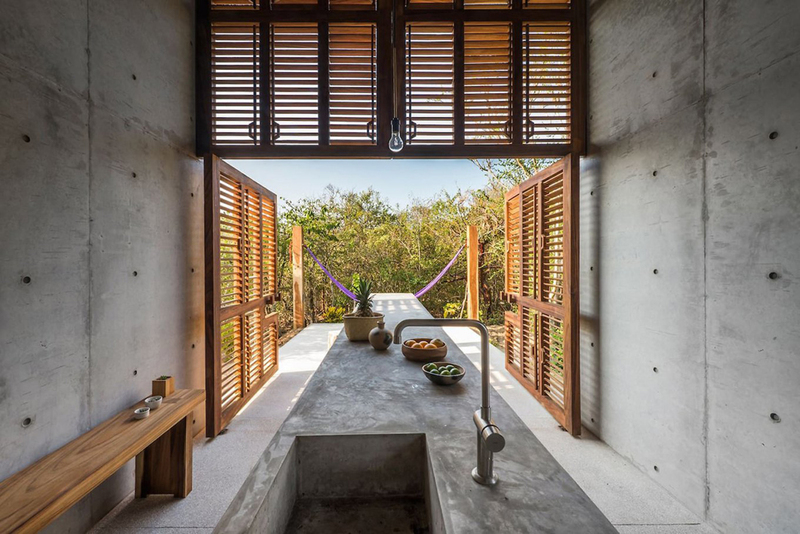 Imagine waking up in a room with a stunning view, eating your breakfast on a terrace, walking to a secluded beach for a short dip in the ocean, then drinking wine near a private pool while watching the sunset. That is exactly what Casa Tiny offers to its guests, who can now rent it through Airbnb. 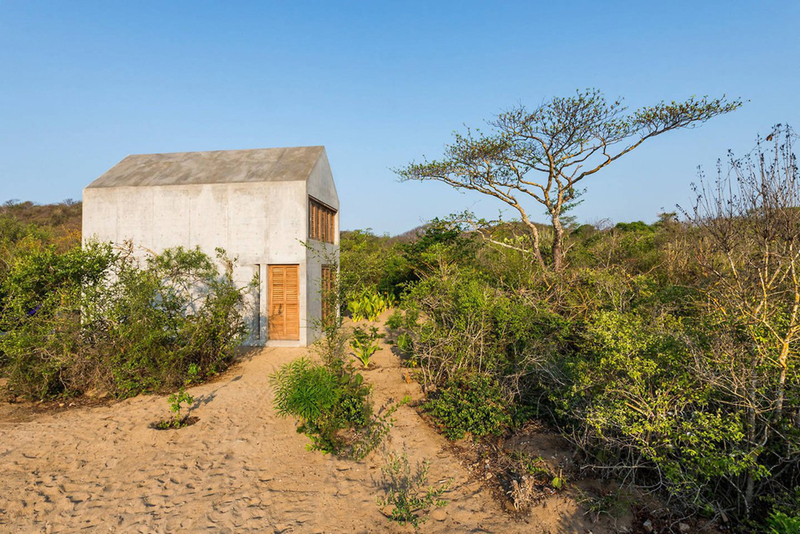 The cozy house is located on the Oaxaca Coast in Mexico near Casa Wabi, an artists’ retreat founded by Mexican artist Bosco Sodi. 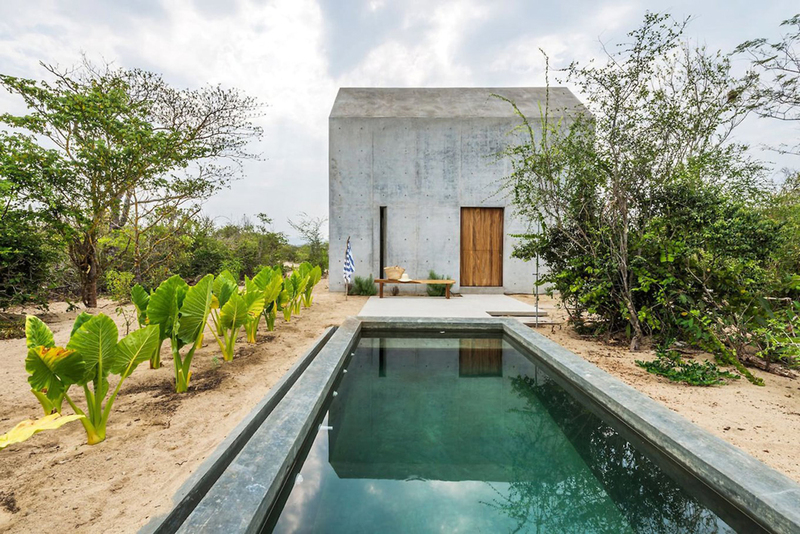 But if the retreat is a larger complex featuring several villas, a gallery, art studios, and public spaces, Casa Tiny is aptly named as it is designed for 1-2 people. 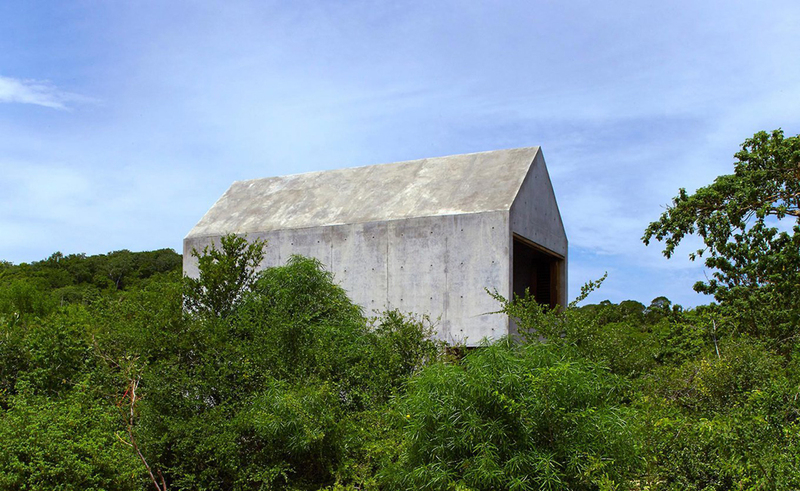 The structure was inspired by “Walden”, a book written by Henry David Thoreau about living a simple life in a natural environment. Inside, guests will find a bedroom, bathroom and kitchen area. 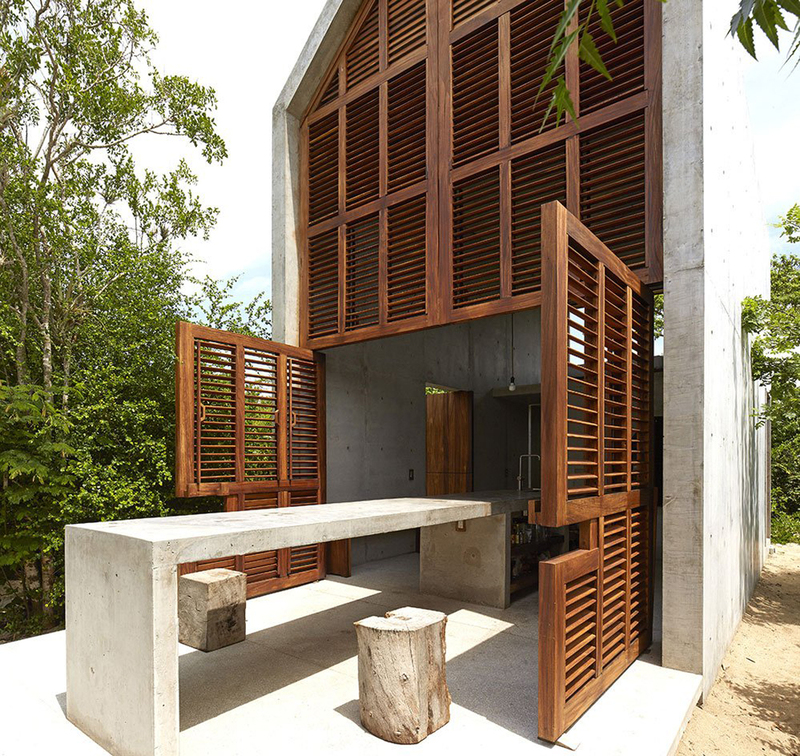 A terrace with a concrete table becomes the ideal outdoor dining space. Guests can relax in the comfortable hammock, cool down in the private pool, walk through the nearby gardens, or take a swim in the ocean, which is just five minutes away from the house. 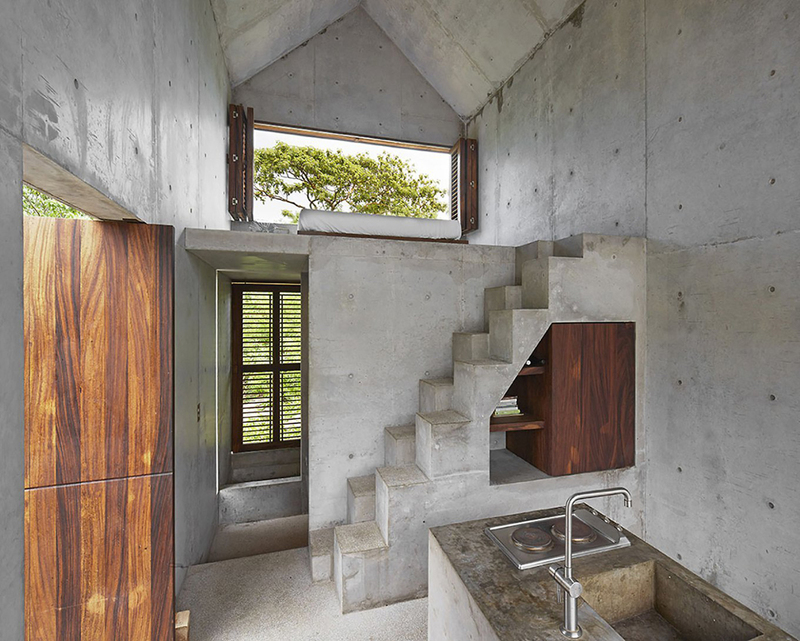 The minimalist structure is made of concrete and features wooden accents that add a rustic warmth to the interior. 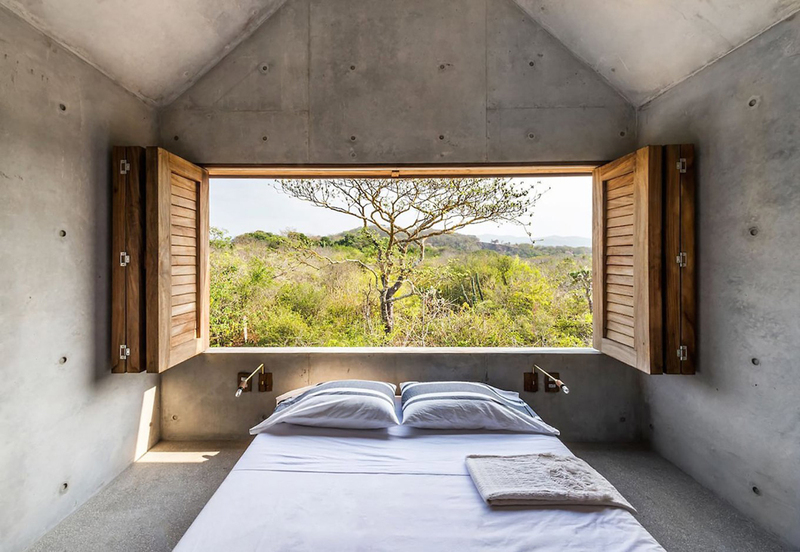 Surrounded by vegetation and sand, the peaceful, comfortable and simple house is the perfect choice for a relaxing getaway in the middle of nature. Like it? 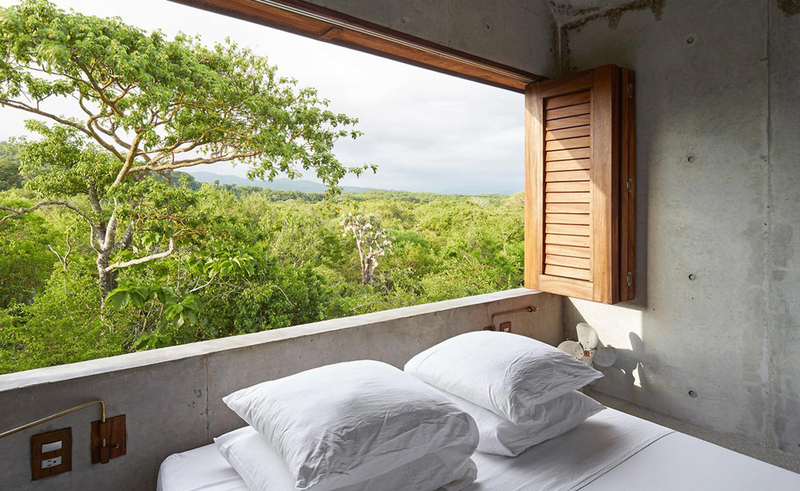 Get $25 for your travel via Airbnb!